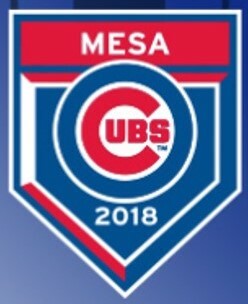 The Mesa Cubs 1 team had the best record in the Arizona League this summer at 38-18. They did it with solid starting pitcher, some studly hitting, a vicious bullpen, and a parade of recent draft picks and young international free agents. But all that didn’t matter. In the Arizona League playoffs, it is a single elimination tournament until the finals. Because of their record, the Cubs got a bye and went right to the semi-finals and awaited while their future opponent. On Wednesday, the Rangers rookie league team arrived in Mesa. The Cubs were looking to get to the finals where they won the title a year ago. On the mound, righty Yunior Perez took the mound. After a leadoff walk, catcher Alexander Guerra threw the runner out at second while trying to steal and Perez quietly got the next batters. In the bottom of the first, OF Edmond Americaan managed a single but could get no further than second base. In the second inning, a couple walks, a couple singles, and two errors put the Rangers on top with 4 quick runs. The Cubs were going to have to work their way back into the game. After the Cubs nary managed a hit in the bottom of the second, Chi-Feng Lee came on to pitch for the Cubs in the third. Lee would right the ship, but could he keep the Cubs in the game long enough for the Cubs to make a comeback? As Lee did his job, the Cubs managed to scrape across 1 in the fourth to get on the board. When the Rangers scored two more in the fifth, it wasn’t the nail in the coffin for the Cubs, but it was close. The Cubs got another run in the fifth to make it 6-2. When Rangers pitcher Billy Layne was removed after 5 innings, I thought the Cubs might have a chance to get back in it with the Rangers’ bullpen on the mound. That was a pretty good hunch as the Cubs scored four runs in the bottom of the sixth to tie it. Christopher Morel’s ground rule double plated two of the four runs. All the Cubs needed to do was to hold serve and get back at it in the seventh. Dalton Geekie was up to the task and the Cubs had a chance to take the lead in the bottom of the inning. They failed to score after a leadoff single by Yonathan Perlaza. To start the 8th, Cubs 1 closer Fauris Guerrero entered to keep the Rangers at bay. Guerrero did his job in the eighth and ninth by striking out five Rangers. The Cubs did not get much going in either innings which meant one thing, extra innings. 2018 draft pick Niels Stone came out for the tenth for the Cubs. The Rangers placed a runner at 2B per MiLB extra inning rules. He scored on a throwing error to give the Rangers the lead. The Cubs 1’s magical season came down to the bottom of the tenth. 3B Yonathan Perlaza started the inning at second base. Just a run was all that was needed to tie. I will just copy the crazy log from the scoreboard for you. Yonathan Perlaza starts inning at 2nd base. Josue Huma hits a sacrifice bunt. Throwing error by pitcher Erne Valdes. 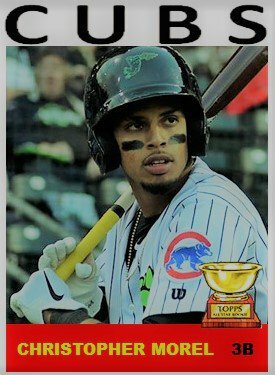 Yonathan Perlaza to 3rd. Josue Huma to 1st. Rafael Mejia pops out to first baseman Stanly Martinez in foul territory. Offensive Substitution: Pinch-hitter Dalton Hurd replaces Ezequiel Pagan. Erne Valdes intentionally walks Dalton Hurd. Edmond Americaan strikes out swinging. Offensive Substitution: Pinch-hitter Kevin Moreno replaces Kwang-Min Kwon. Kevin Moreno walks. Josue Huma scores. Orian Nunez to 3rd. Dalton Hurd to 2nd. The Cubs 1 will now take on the Dodgers in a best two-out-of-three series. 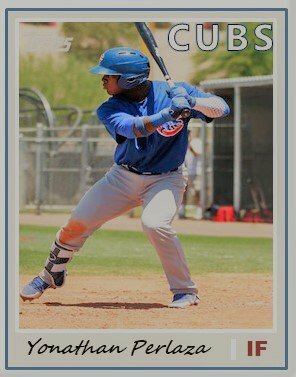 I like the Cubs chances as they have three of their best starters available in Peyton Remy, Didier Vargas, and Jesus Tejada. Play begins Thursday night.